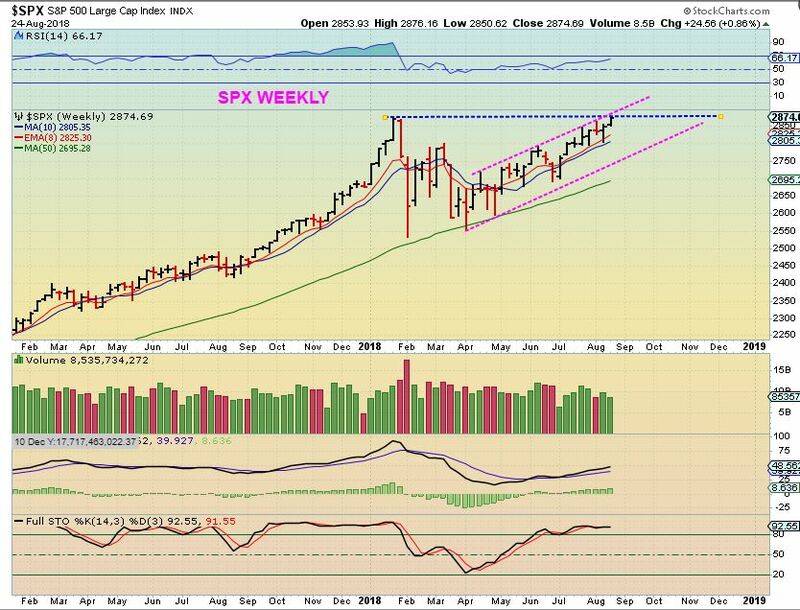 SPX - The SPX broke out above the upper trend line, but dropped back down on Thursday. 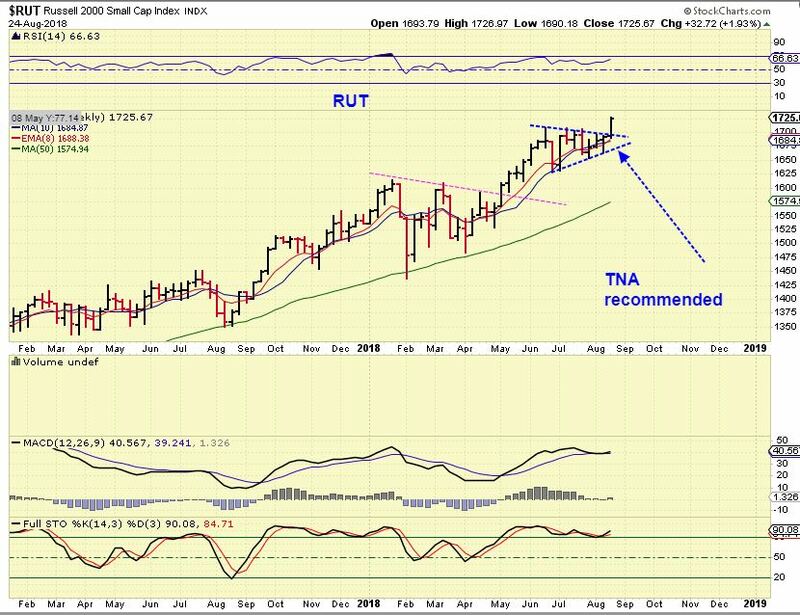 We see a gap & the 10sma below, these could be initial targets, so let's see how things play out. 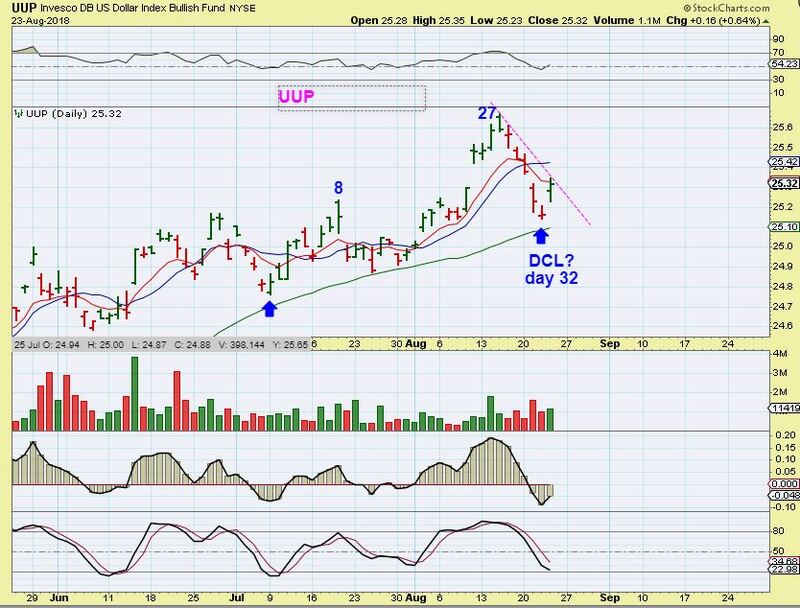 Let's discuss the current set up in various market sectors. 2. The drop started here, and I posted this in the comments section. 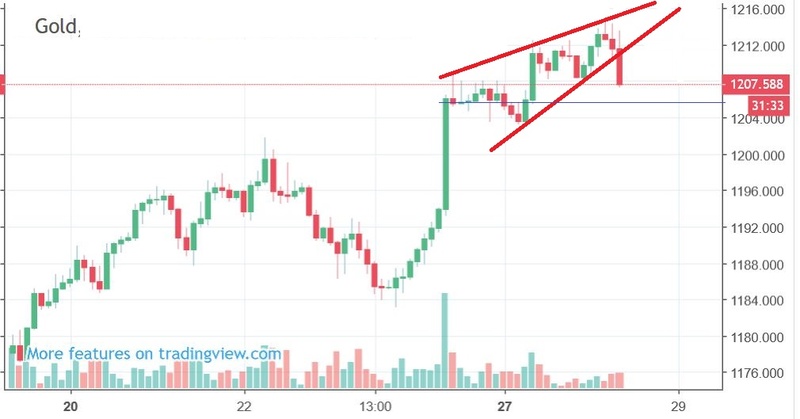 Again, not a big scary concern, just Expect delays..
A Monday night report should be short, because we've only had one day since the weekend report, but Monday was a very active market. This report will be longer than the usual Monday report. 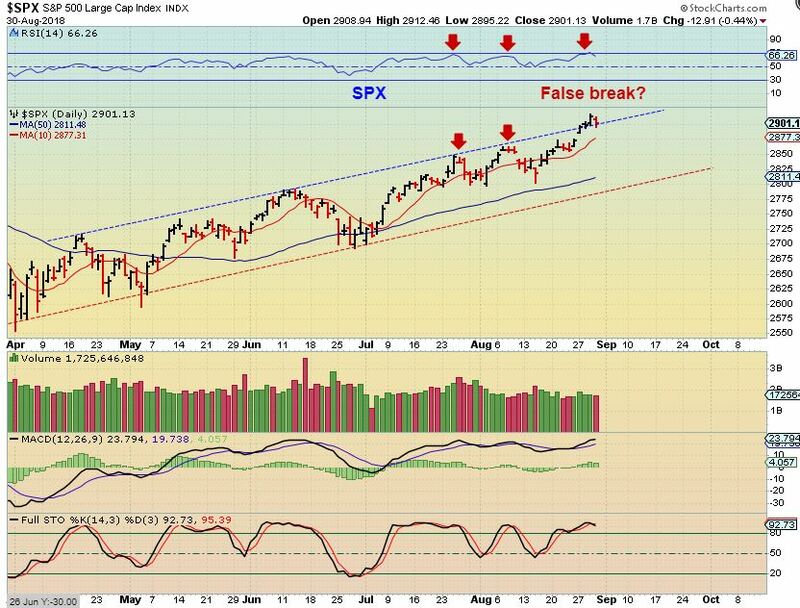 Review SPX August 21st - This was last week, and we saw the SPX meet up with 2 resistance points. 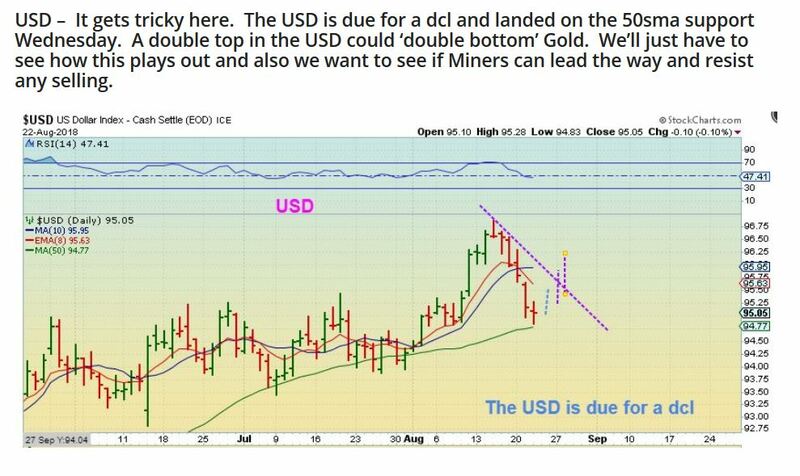 USD- This is a copy/ paste from yesterdays report, expecting a USD DCL. I will have many trade ideas at the end of this report. 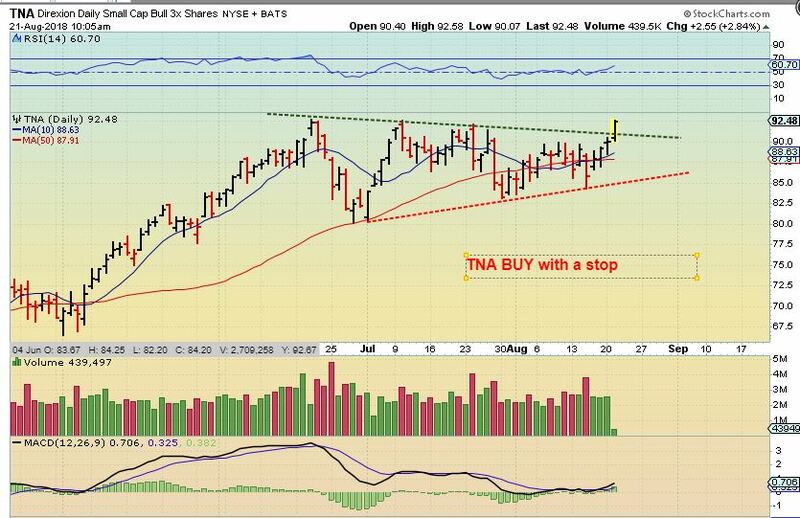 TNA - I mentioned that The Russell 2000 ( RUT, IWM, and you can use the TNA) Looked bullish, and this was the break out. It was and is a buy. The release of the FOMC Minutes from the last Fed Meeting is scheduled to be released today. 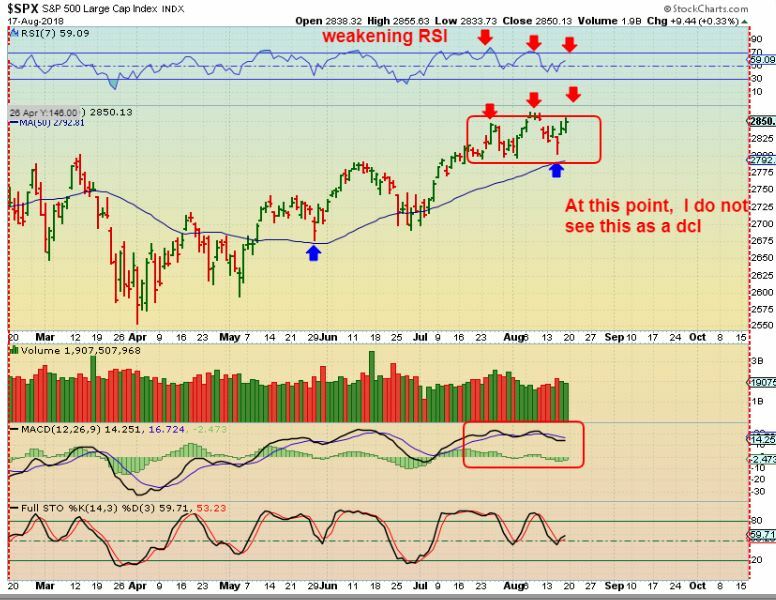 At times, this can cause a reaction in the markets, if the verbiage or language that was used seems more Hawkish or Dovish than originally interpreted. 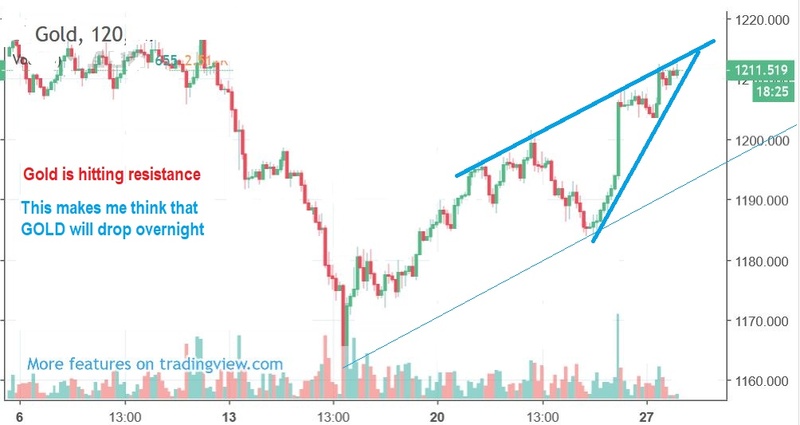 For example, if they were to mention a concern pertaining to inflation rising faster than expected, that could affect certain sectors, so we just want to be mindful that the markets could move unexpectedly around 2 P.M. Eastern. 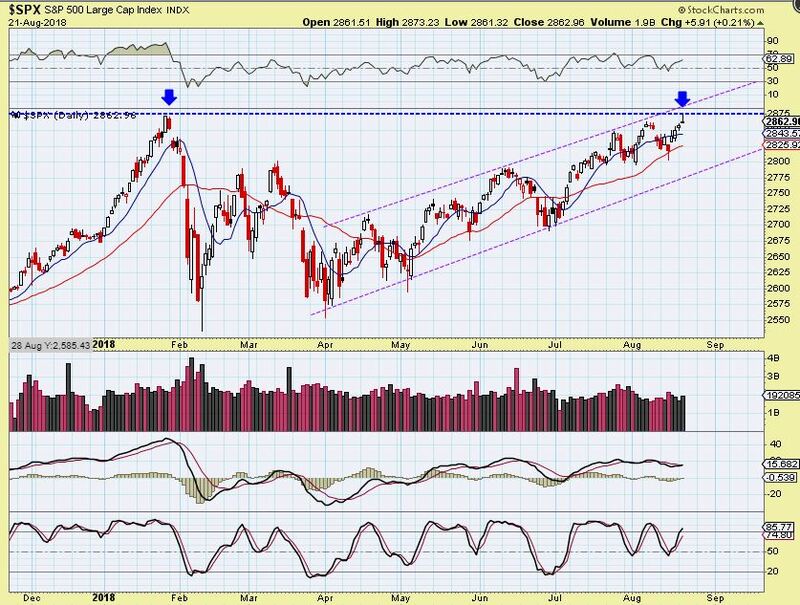 SPX #1 - Right where the SPX was about to break to new highs, it sold off a bit. Tuesday August 21 – Is It Possible? https://chartfreak.com/wp-content/uploads/sites/18/2018/08/TUESDAY.jpg 579 915 Alex - Chart Freak https://chartfreak.com/wp-content/uploads/sites/6/2013/04/black_logo.png Alex - Chart Freak2018-08-21 12:14:222018-08-21 12:14:22Tuesday August 21 - Is It Possible?